Having a leaky faucet is one of the most disturbing and annoying things in the house. It gives you sleepless nights as the drops hit the sink and produce a continuous annoying sound. The other disturbing thing about a leaking faucet is the dampness it creates. The damp conditions around the faucet can be a danger to one’s health due to mold and if not checked early can pile up medical bills apart from the damage and repair bills. The easy thing about faucet is that they are not that complex and with the right tools and a faucet kit, you can be able to fix the problem in time. Worn out O-rings. The O-rings are circular rubber bands that are found at the base of the spout. They help keep the spout tightened meaning there are no leaks. They also prevent rust or corrosion that could occur if there were no rubber rings and the metal was left to be completely intact. This could lead to complete tightening that would require breaking when opening. If the rubber rings are worn out, they could be the major cause of the leak. In order to fix this, you need to open up the spout, remove the worn out rubber rings with a screwdriver and then install new ones and close up the spout. Deteriorated gaskets or mineral deposits. This is another source of the leak that is mainly found in the valves of the faucet at the end of the faucet. You will need to take apart the whole faucet, part by part, place the parts on a clean and dry towel or cloth arranging them in an order that you will remember when fixing it back. Take the valve and dip it in vinegar or wipe it with a clean cloth dipped in vinegar. You can even spray them with vinegar to remove the minerals that were causing the leak. Look for debris and deposits. This is often found in the aerator or the body of faucet having small holes. This deposits provide a sluggish flow that can be easily fixed with dipping the parts in vinegar. The debris and deposits can cause more damage if unchecked as they can cause formation of mold that is a major health risk. You can also use a vinegar sprayer for efficient results as it will ensure that all the debris and deposits are removed. 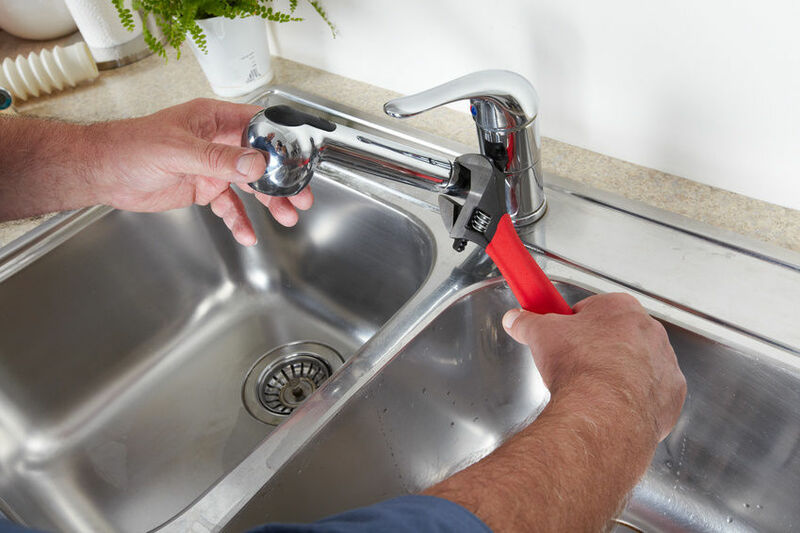 With proper guidance it is easy to fix the problem of a leaking kitchen faucet. You can learn more from kitchenfaucets.reviews in order to have a good background knowledge of the same.